Flash forward a few years. 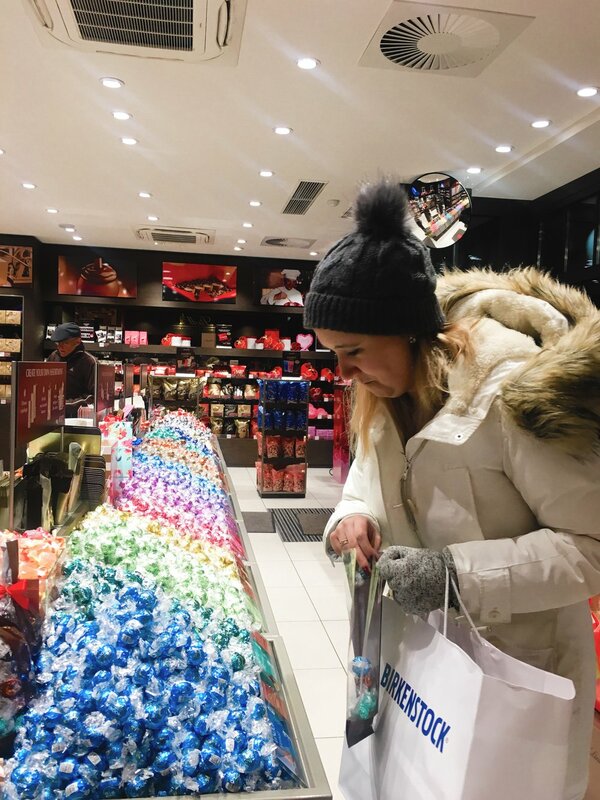 When I first came to Germany to visit Matthew, he was adamant that he wanted to go on a French day trip. Being the mature adult that I am, my response was “Ew, I don’t like France.” (First world problems, anyone?) In the end I went along, and, as usual, he proved me sorely wrong. Friends, I bring you: The Alsace. On my most recent trip to the Alsace, my husband (the researcher) had told Allison and I to go check out Crémant d’Alsace. Not ones to discriminate on wine varietals, we did some quick Googling and set off on the road. We hit a couple of wineries that specialized in Crémant and fell in love. Guys, I’m going to go out on a limb and say that it’s even better than Champagne. Come at me; I’ll fight you on it. The first winery we stopped at was Gilg in Mittelbergheim. Once again, we’re not one to make plans ahead of time, much less reservations, so there’s always a chance we drive two hours and end up seeing lots of closed things. The winery and tasting room are nestled right in the middle of town. We’re starving, but it’s 2:00 in France, which means you’re straight out of luck for food (Europe traveling hack, BRING SNACKS). The door to the winery is locked, so we’re turning around in defeat when this sweet old man comes flying out of nowhere with a key. Long story short, he let us in, fed us loads of different tastes of Crémant, and we walked away the happy owners of three new shiny bottles of bubbly. They were all good, and the setting was just so cute, I definitely recommend stopping in if you’re in the area and have access to a car. The man we were working with spoke enough English and we spoke enough broken French to get by, but if you’re worried, I’d definitely download Google Translator ahead of time (you can also download certain languages so that the translations are available offline). Next, we drove about thirty minutes down the road through beautiful wine country to Riquewihr. I’ve been to Riquewihr before; it’s a huge tourist attraction but with good reason. I absolutely love it, but I’ve also seen photos of the main drag in the height of tourist season. It’s so packed you can’t even move. I’ve gone in September and March and have never seen it like that, so keep that in mind while you’re planning your trip. Since it’s 3:00 and we’re still starving, we luckily find a small cafe open, snag some espressos and some quiches, and set out to find more wine. The best rated winery in town, according to Google is Dopff. It’s right on the main cobblestone street in Riquewihr, and you walk down into a cellar to access the tasting room. The gentleman working there spoke impeccable English, happily answered all of our questions, and once again, fed us lots of tastings. The biggest thing we learned there was that all of the grapes picked in that particular area are picked by hand. It still makes my fingers cramp up just thinking about it. Don’t let anyone tell you that wine isn’t a labour of love! Also, we didn’t pay for a single “tasting” the entire time we were there, and they’re always pretty happy to let you taste quite a few. From what I’ve seen, that seems to be a thing in France/ Germany, but I’m not completely sure if that is always the case. Once again, we happily left with three new bottles of bubbly. Our last stop of the day was Ribeauvillé, where we grabbed dinner and a room for the night. Ribeauvillé was a smaller town than Google made it out to be, but it’s nestled right in the middle of the Vosges mountain range and surrounded by medieval castles. We stayed at the Resort Barrière Ribeauvillé which was a bit out of town, but the room was beautiful and cosy and the views were stunning. After taking a short break to relax in the room (ie. pop open some of our newly acquired Crémant), we decided to brave the walk into town (about half a mile down a fairly busy road) and find dinner. Many of the restaurants were closed for the season, and the ones still in service didn’t open until 7:00 PM. We chose to stop at La Flammerie. Dinner was great (I had steak, Allison had fish), but the dessert! The crème brûlée was possibly the stuff dreams are made of. Circling back to where this began, every time I dare to write something negative about Paris on Instagram, people lose their minds. Don’t hate! First, Matthew and I have vowed to take a weekend while we’re living in Germany to give Paris a second chance. I promise to go in with an open mind (and slightly less lofty expectations), and I will write again with an update. Second, I mean well. The more time I spend in Europe, the more I realize, France is really freaking cool. Any time I rant about Paris, I am largely aiming to get people to expand their grand Parisian adventure… outside of Paris. Note: Being the nerds that we are, Allison dug up some WWII history on the Alsace. If you’d like to read more, we enjoyed this article. Maybe it’s a pull from my subconscious for not having a “real” college experience, or my undying love for State College, Pennsylvania, but I always love a good college town. One of my favourites is Heidelberg, Germany. In the summer it’s full of bustling biergartens and college kids on bicycles, but in the winter it’s full of welcoming shops and cozy pubs. My best friend came to visit from DC last week, and Heidelberg was one of our first stops. We hopped a train from Waldfischbach for 13 Euro and less than two hours later, stumbled out into the city. Naturally, we headed straight for the Macaronnerie Heidelberg, the town’s best rated macarons (a logical first stop for any city). They did NOT disappoint! Next we wandered down Main Street for some shopping. Here you’ll find Birkenstock and lots of little alley ways with adorable local shops and boutiques. You’ll also find a few flower shops; my European weakness. 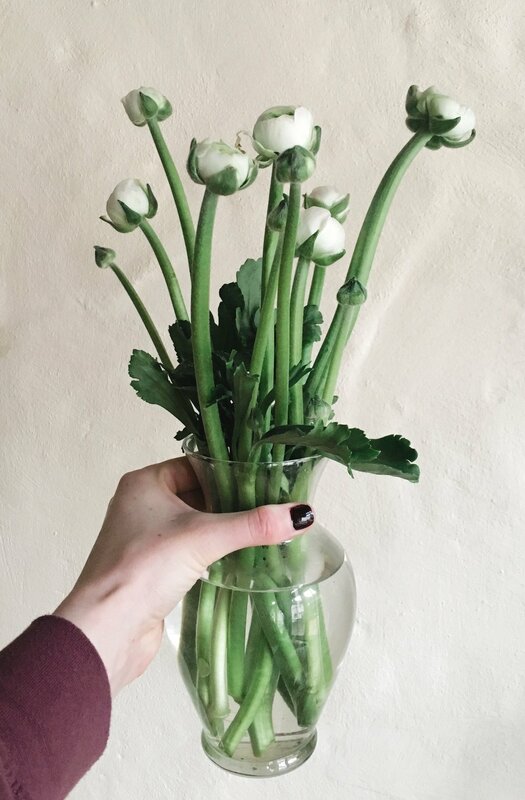 Flowers here are so incredibly inexpensive; I couldn’t help but snag some fresh tulips and ranunculus. We stopped at a handful of local pubs, including the beautiful Zum Güldenen Schaf which opened in 1749, and even managed to (mistakenly) find the local Steelers bar (The Dubliner Irish Pub). 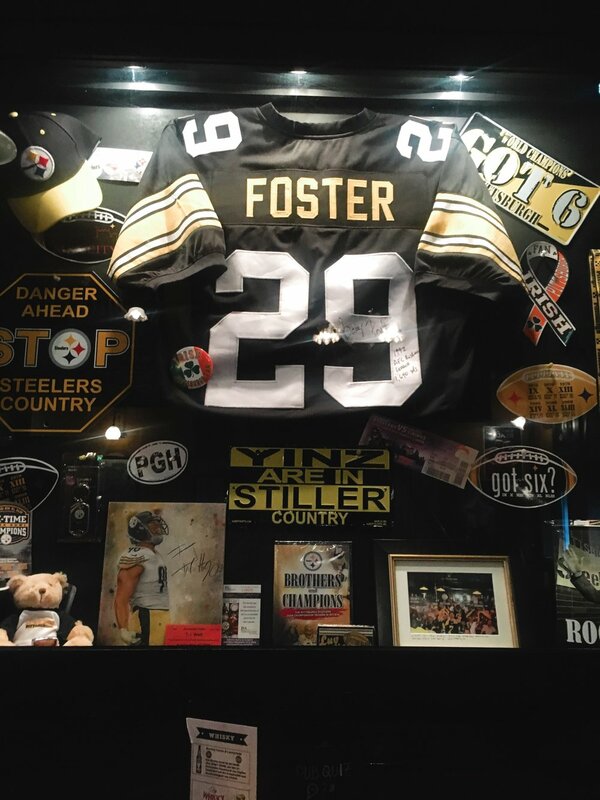 While we’re about as far away from Steelers fans as two people can get, there’s still something soothing about finding a little piece of home so far away. 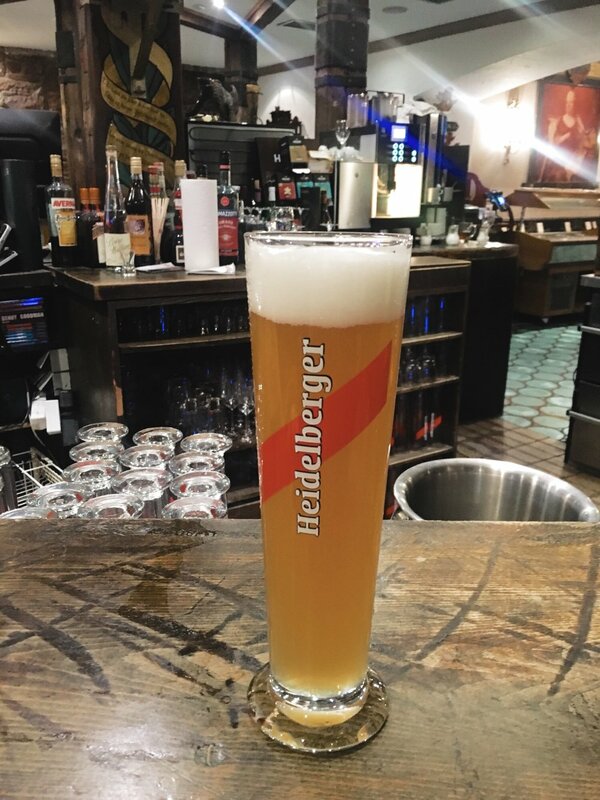 The local beer (Heidelberger) is decent; my favourite was the “Hefe Weizen Hell”. We tried to get into dinner at a couple of highly rated places (mental note when traveling in Europe, ALWAYS make a reservation… my husband and I are endlessly horrible at this), and we finally were able to snag a table at Cafe Rossi. After a great dinner (good drinks, very quick service, and a beautiful building! ), we made the 1.5 KM walk back to the train station and were on our way home! Have you ever been to Heidelberg? What’s your favourite city find?